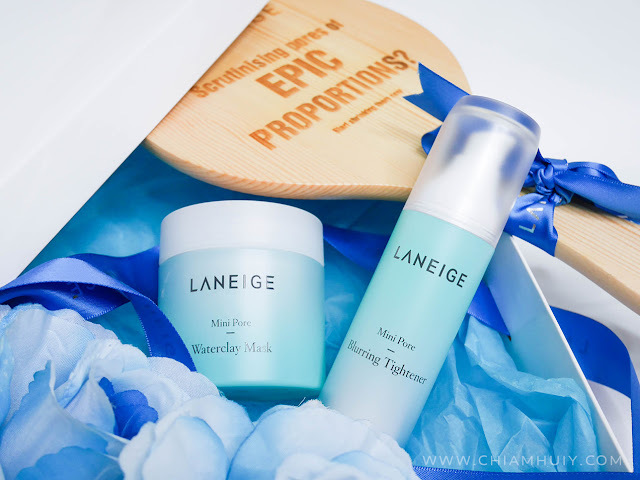 LANEIGE has recently released their latest Mini Pore Collection!! And here I have, the two products under the collection - Waterclay Mask and Blurring Tightener. I don't think I need to ask and I already know almost all of us here have pores problem. 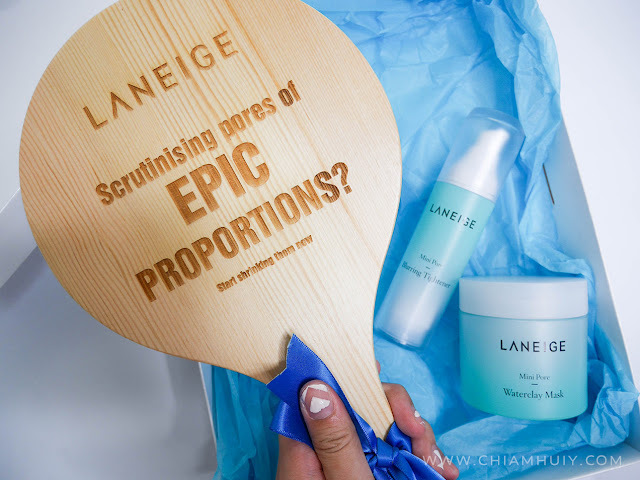 Large pores, clogged pores, you name it. 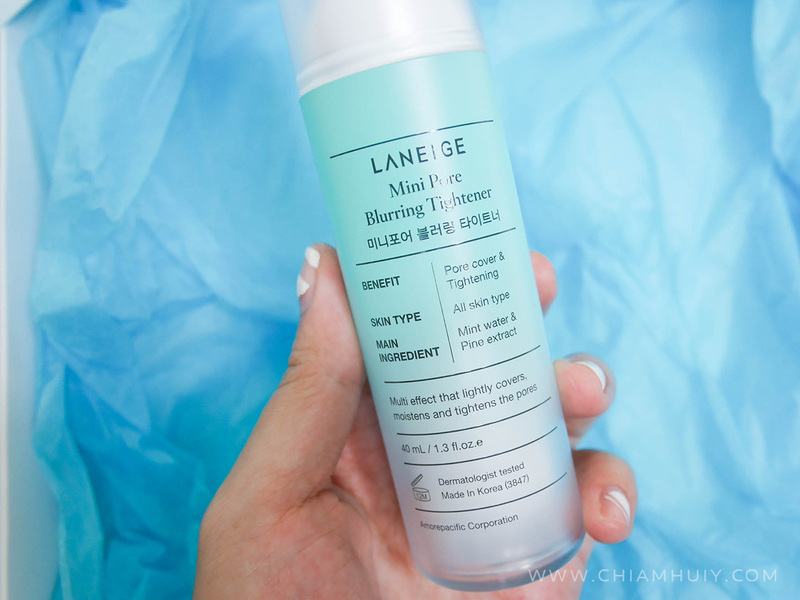 I've tried out the LANEIGE Waterclay Mask and I really have good thoughts about it, while I'm still experimenting the Blurring Tightener. Read on to find out more! 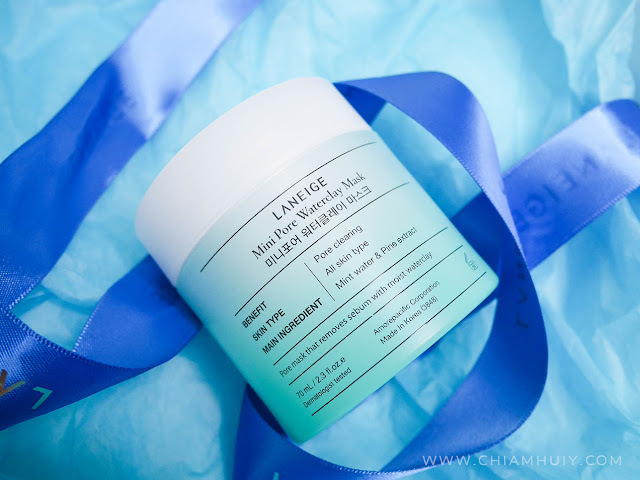 The LANEIGE Mini Pore Waterclay Mask, 70ml ($38) dries very quickly when applied, quicker than my other clay masks. 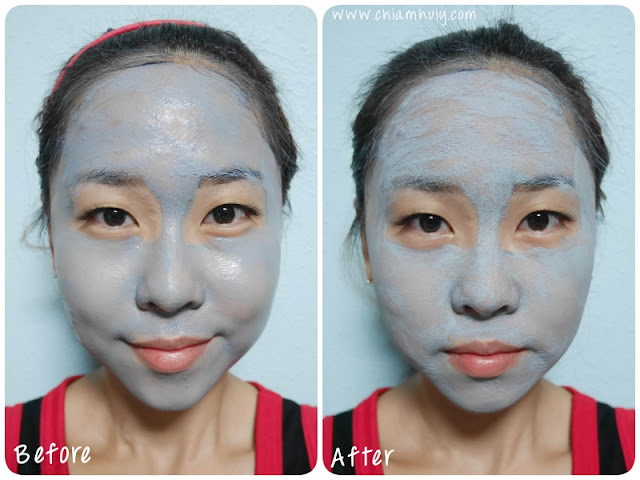 This clay mask directly targets the pores and while it dries, it actually tightens the pores, controls excessive sebum secretion and prevents expansion of the pores. 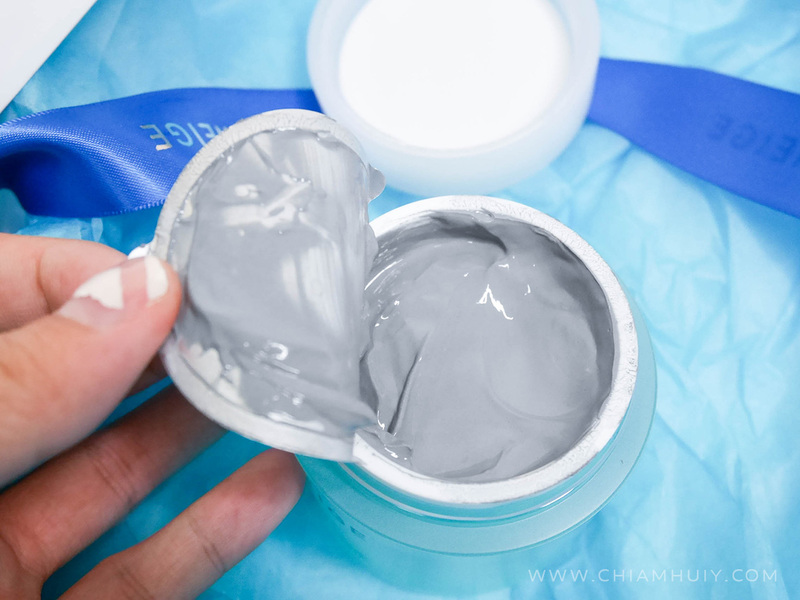 Apparently, this clay mask contains Shinan mud clay mixed with a moisture gel cream base to remove excessive sebum and tighten pores! 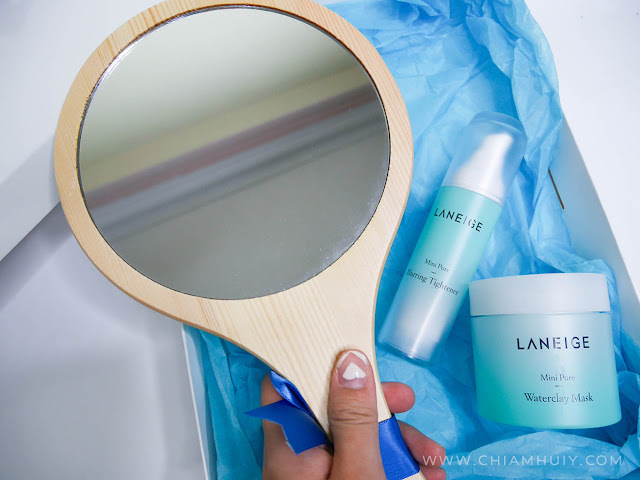 For hydration purpose, the clay mask contains mint water to help strengthen skin’s barrier and care for dehydrated skin, as well as pine needle extract to prevent pores from enlarging. With these ingredients in it, I wouldn't be worrying that my clay mask would dry the hell out of my skin! It took merely 5-10mins for it to completely dry? Skin definitely felt instantly smoother every time after clay-masking. What I like about this product is that it really dries up fast, so I recommend this to those who leads a faster paced life, and couldn't afford their weekly face-detox maintenance. 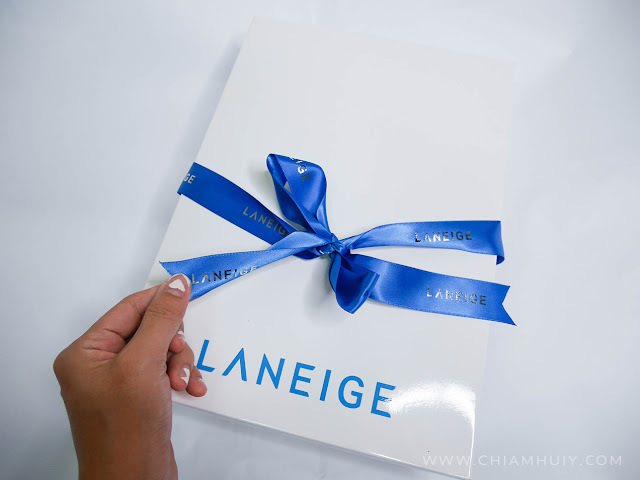 The Laneige Mini Pore Blurring Tightener, 40ml ($52) on the other hand covers pore shades and bumps. It's definitely a follow up after the clay mask, which helps to moisturize and add suppleness to the pores and skin. At the end of the day, you'll find your excess sebum under control. You can also treat this as the final protective layer over skin to seal in the goodness of the previous steps of skincare regime. 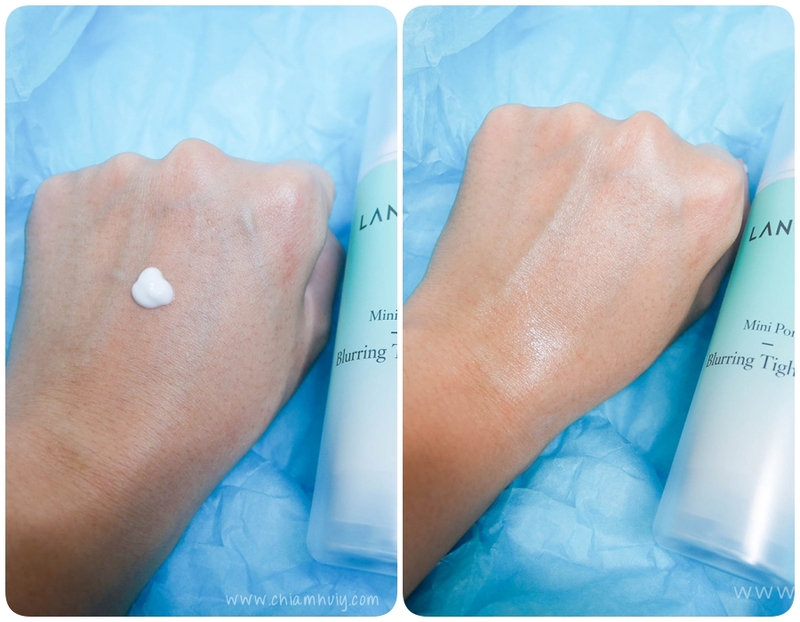 I did a swatch test and find the Laneige Mini Pore Blurring Tightener extremely lightweight. This is supposed to be the last step of the skincare and the lightweight texture is definitely a need. 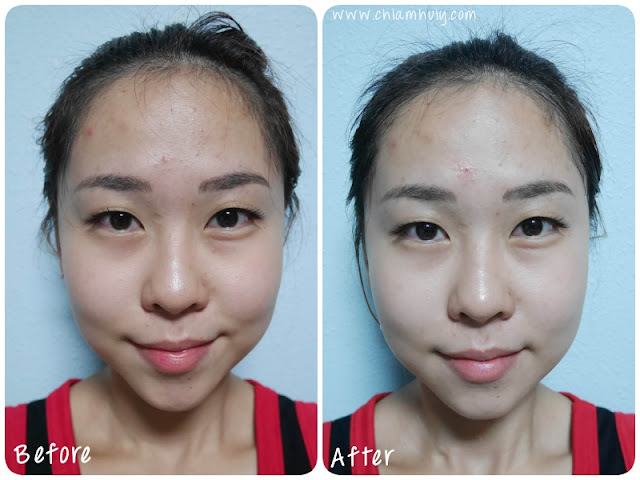 So are you well-prepared for the battle acnes unsightly pores and excessive sebum?